This wee collection was for a wholesale order I packed up and shipped out yesterday... They are off to a brand new wee studio, workshop and marketplace in the heart of Brisbane called 'Piece Together'. It looks like a fab wee venue and I so wish I could visit myself! Have any of you guys been by or taken a workshop class there... !? 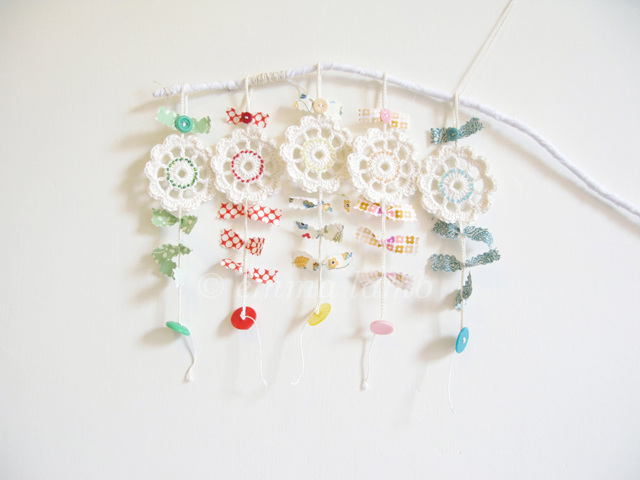 I've also been pottering on a whole other bunch of new wee flower charms, garlands and pin cushions that will be popping up in the shop over the coming days. As always, stay tuned to my Facebook page for the updates. 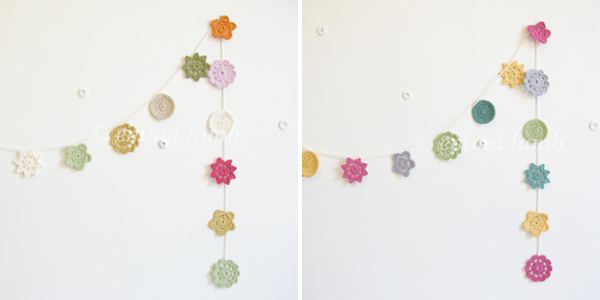 I love these garlands, they look so pretty! Beautiful! I love the branch mobile, pretty, pretty!!! 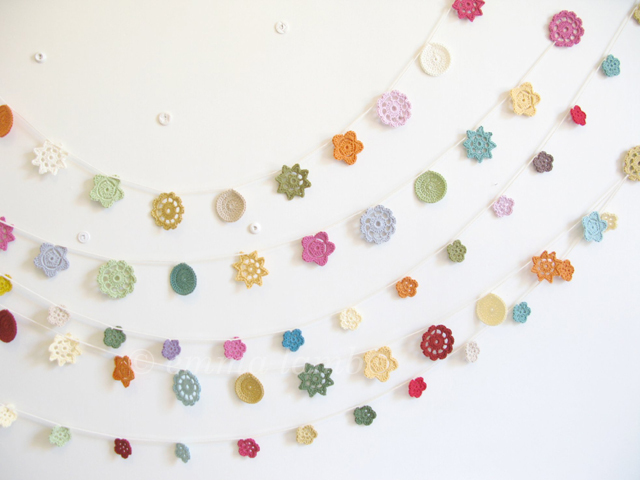 I love the flower garlands, they would look lovely strung up in a bedroom. Oh so pretty Emma! I feel the urge to grab hook and yarn and create one of my own! Will you be selling these on etsy? que delicados tus trabajos!! me encantan! They are gorgeous as always Emma.